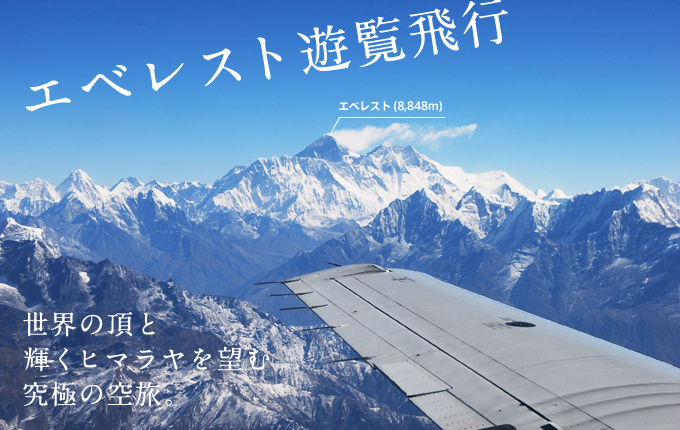 Everest Mountain Flight｜Saiyu Nepal Trekking & Expedition Pvt.Ltd. If you are not able to walk, or simply not in walk / trek, but want to see the Himalayan range including Mt. Everest, the one of few ways is to take the mountain flight. Departing from Kathmandu airport, this 1 hour flight offers you stunning views of high mountains with some world`s highest peaks. 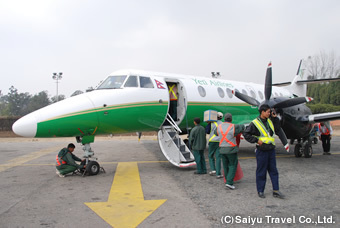 Few airlines in Kathmandu offer mountain flights. Please note that the flights are weather permitted, though. 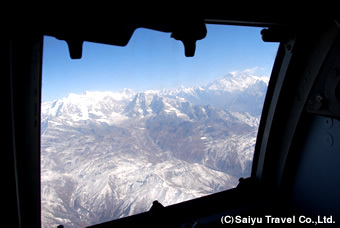 The weather in Nepal`s mountains is highly changeable (and not predictable), the flight doesn`t operate if the weather is not clear for safety reason. Make sure the weather is fine, and contact us to make sure if the flight is fine. ※ Please note that there will not be a refund on the transportation, even if the flight gets cancelled due to unforeseen weather circumstances. ※We can help passengers who want to change flight to other days; if the flight gets cancelled. The procedure is operated at Kathmandu airport. ※Cancellation received 2 days prior to the flight departure 【cancellation time limit, up to 17:00hours of that day】: 10% cancellation charge plus US$ 15 【handling charge】 is deducted from the refund amount. ※Cancellation received 1 day prior to the flight departure: 33.33% cancellation charge plus US$ 15 【handling charge】 is deducted from the refund amount. ※Cancellation received on the flight day: 100% cancellation charge is occurred. ※Flight cancellation due to weather circumstances or if the airlines cancels the flight, US$ 15【handling charge】is deducted and the rest amount is refunded. 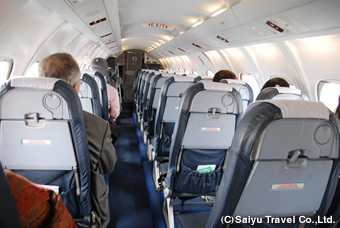 ※The flight schedules, airfares shall be re-arranged/ changed by the airline companies without prior notification. If you find a trip good for you in the website, please contact by email or phone. You can even visit our offices convenient to your location, please inform the date and time in advance. Do inform us, if you need us to arrange the private transfer to Kathmandu airport or an assistant guide. Full name 【As per the passport】 of participants is required to make the flight reservation. After you contact us and happy with the tour, you can purchase it and make payment. Once we confirm your participation, we send an invoice of each trip, guide you the payment methods and start making reservations. **The flight tickets are issued after the payment is confirmed. E-tickets are sent to each traveler through email. The mountain flights are weather permitted. Please expect delays as well as frequent cancellation. For there are delays in landing as well due to fog in Kathmandu`s sky,　we recommend to keep a free schedule in the morning, if you are taking a mountain flight. 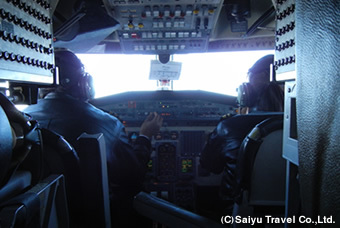 Since the flight is weather permitted, both the weather in Kathmandu and Everest area are vital. If one part of the two is cloudy or have fog, the flights may get delayed or get cancelled. Check in the airport in Kathmandu early morning. The seat number is written in your boarding pass. Once the flight is ready, with fine weather, there is an announcement to board the flight. Window seats are guaranteed for all passengers. The flight takes off from Kathmandu and lands back at Kathmandu. 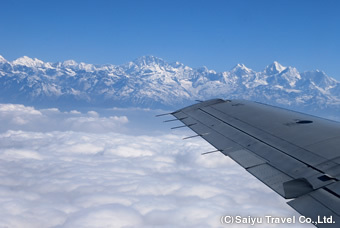 First enjoy Kathmandu from the sky, and then the clouds and there are the mountain range shining in white. You can even go to the cockpit once during the flight. This is what you can see from the cockpit`s front glasses. The airplane will fly parallel to the mountain range around 20 minutes after the take off. 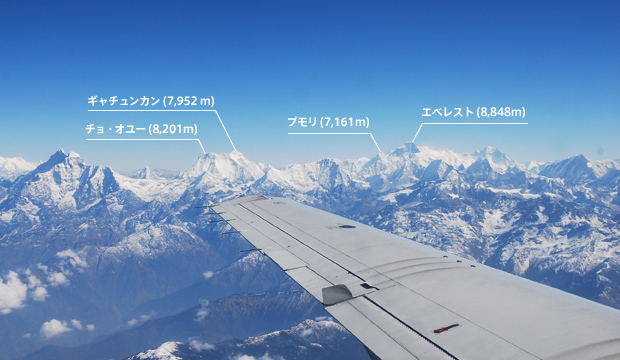 The total flight is around an hour with these magnificent Himalayan range.